Dimensions 1.75 by 7 by 9.75 in. Electronic media history is steadily assuming a central role in the study of mass communications, radio, television popular culture, journalism, and the new electronic media platforms. 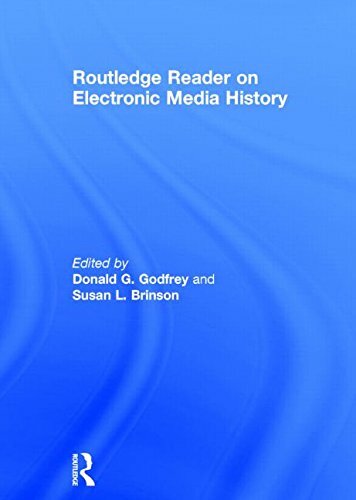 This collection of research essays from the major publications in the electronic media discipline illustrates the growth and development of electronic media research from its earliest appearance to current day. Representing a wide variety of topics and scholarship, the articles included here demonstrate landmark research in the field, and illustrate varied methodological approaches to historiography. This book provides essays from a variety of authors and diverse methodological approaches within electronic media historiography as applied to a spectrum of topics. It illustrates the strong tradition of media history and the evolution of both topics and methods. This "Reader" reflects not just what has been covered, but how coverage has changed in the evolution of research. It illustrates the foundations of the field as well as the continuing need for research. Media archival collections have grown and represent an increasing acknowledgement of and opportunity within electronic media history. The objects of media history are as broad as the term itself. Todayâs historians build on existing research just as todayâs electronic media engineers and scientists reference the historical patents and technology of the past. Appropriate and apt as a textbook for graduate and undergraduate courses in a wide variety of subjects and disciplines -- Broadcasting; Electronic Media History; Journalism; Mass Communication; Media Studies; Telecommunications; Media History, and others - this distinctive collection demonstrates how electronic media research has evolved and lays the groundwork for future study. About: Electronic media history is steadily assuming a central role in the study of mass communications, radio, television popular culture, journalism, and the new electronic media platforms.